First I want to clarify that it is forbidden to use this method on a phone ” blacklisted ” by the operators, then note the IMEI numbers that are on the label under the battery or on the packaging box your phone . 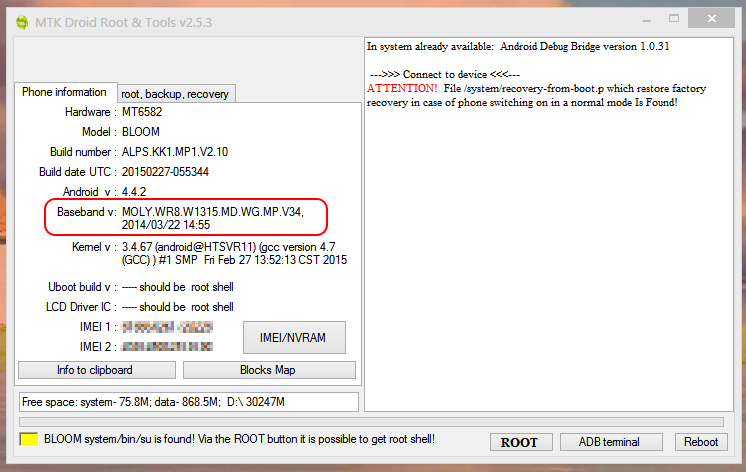 Here’s how i repaired IMEI on my Wiko Bloom. This method was used to redefine the IMEI on a phone WIKO Dual Sim . Indeed, after an update ” lousy ” the phone had no more IMEI . 9. Once again the application is opened, and then follow the steps in the application manual, which is also on pt.wikomobile.com, it is important to note that when the phone is connected to the PC, it is switched off and Without the battery pack attached. 22. You can turn on the phone normally, because everything is going to work perfectly. partition_name: NVRAM file_name: NONE is_download: true. But then i used the original aplication BLOOM_V17. After this i used SN Write Tool v2.1444.00 (you can download from here: https://www.datafilehost.com/d/2b745e9a), and the phone is 200% ok. I made a tutorial in portuguese explaining how to do this operation including, how to use the SN Write Tool, that you can see here: https://www.datafilehost.com/d/6e35cf27 (sorry, for being in portuguese). To everyone wanting to use a CUSTOM RECOVERY like Cynogenmod (I’ve used https://mix-androids.blogspot.cz/2016/09/cm-13-latest-for-micromax-unite-2.html): If you still experience problems restoring your IMEI, try using the “Chamelephon” app (you need to enable ROOT mode in your ROM first): https://play.google.com/store/apps/details?id=com.cryptotel.chamelephon. It finally helped me end this nightmare with my friends phone. Have a wonderful and safe week everyone. 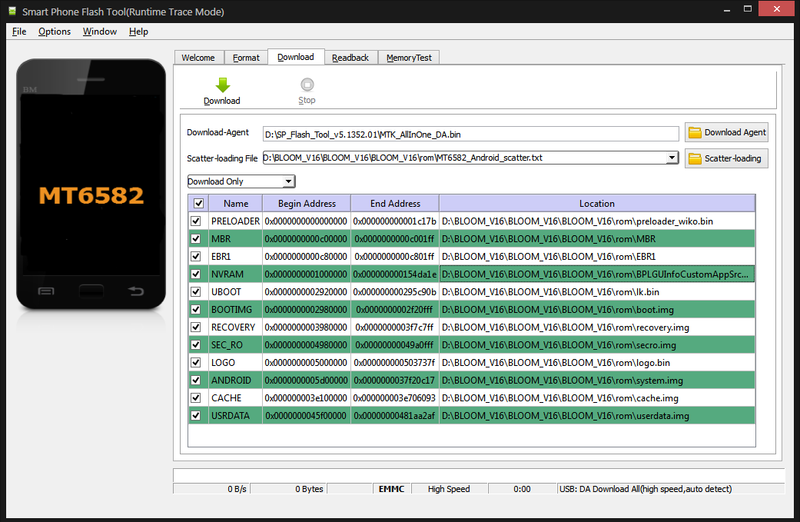 What is your opinion about IMEI changer for android ? Can we recover using that tool ? In case of the IMEI being corrupted it might, but as I explained in the post my problem went beyond that, so a simple IMEI change would not fix it. Well my only guesses would be to check you’re using same package and version as your phone has installed (maybe you didn’t have v16 but something older?) And try a full flash if you haven’t already done one. Thanks. The mentioned error still appears. What did you do differently? Linked the file with the wrong extension, link should be fixed now. Sorry about that. What am I doing wrong? Please assist and update your thread. Getting the full package is the safest option, however you can get 1.6 update nvram/scatter file for the wiko bloom if you want to give that a try. 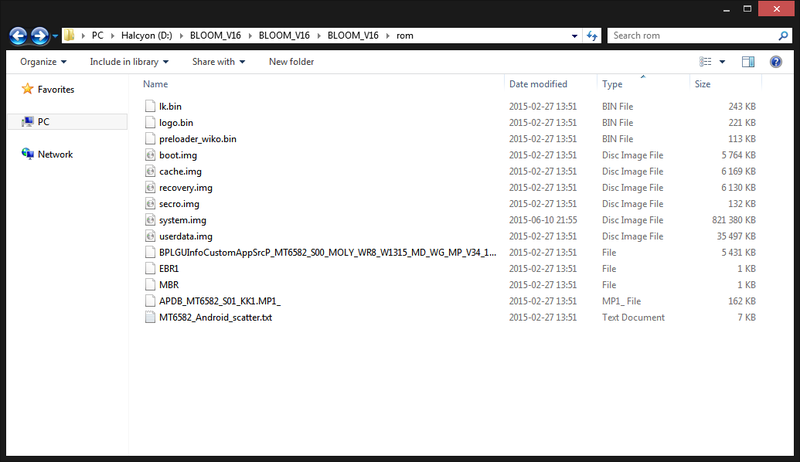 Good evening daf, I just found your wonderful post here and just ran into the same Issue: The BPLGU file of BLOOM_V17.zip obviously does not work. Would you please be so kind and edit your post and add the necessary NVRAM file from BLOOM_V16.zip to your thread? It would be very kind if you could make sure that you provide a download for ONLY the necessary NVRAM file since my internet connection is really slow at thze moment (too much hacking lately). Thank you and have a wonderful sunday! I’ve temporarily mirrored the the 1.6 update package for the wiko bloom. Hope it helps and sorry for the late reply. Hi, thank you for posting this howto! There is only an Button “Yes” (bad Option-Pool on a Query xD). Do you have saved the Update 1.6 or the NVRAM.BIN-File? Please send me that to my e-mail.